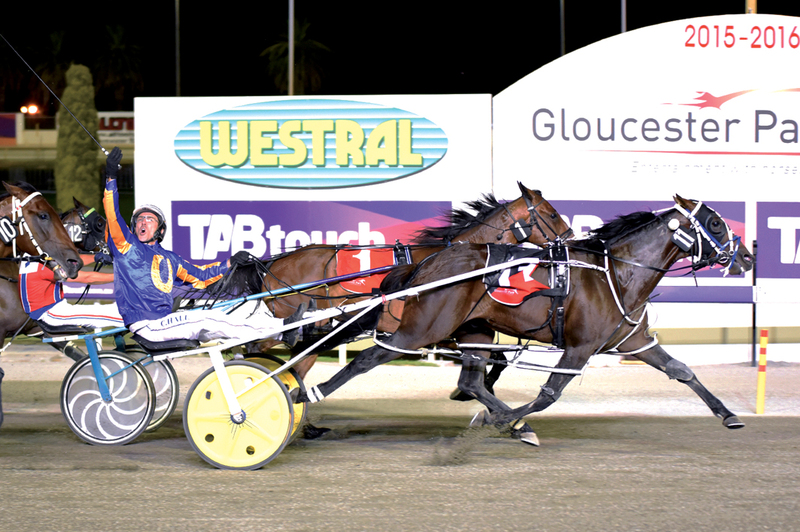 PLANS remain modest with classy pacer My Hard Copy despite yesterday’s Pinjarra Cup triumph. Stating the eight-year-old is racing in “career best form”, trainer Gary Hall will continue to select suitable races as they become available. “I’ve got nothing set out for him at this stage,” Hall said. “Just potter around during the winter and find what I can. “He is racing in career best form and will be able to pick up a few of the winter features. Driven by regular reinsman Clint Hall during his latest win, My Hard Copy was given time to settle into his stride from his second row draw before being angle three-wide into the breeze and ultimately gaining the one-one trail. Finishing strongly along the home straight, the son of American Ideal grabbed the lead in the last stride to score by a half-head from his stablemate, Chicago Bull, which was gallant after racing in the ‘death seat’. Our Jimmy Johnstone, which travelled midfield, was nine metres away third. “It was a good finish and result for the stable,” Hall said. “My Hard Copy has been a great little horse, which is underestimated.